Alspec® stock a large range of geometric shapes such as angles, channels, flat bars and tee sections to suit many applications. If you can't find the right shape for your requirements, Alspec® can work with you to design your specific shape and have the product extruded to suit your project in a wide range of Powder Coat or Anodised finishes. For the transport market an extensive range of shapes such as floor boards and tray body sides are stocked for the manufacture of light duty trays through to heavier truck bodies and tippers. The Alspec® range of Rolled Products includes flat sheet, treadplate, propeller plate and coil products. These are stocked in a wide range of lengths, widths and thicknesses. 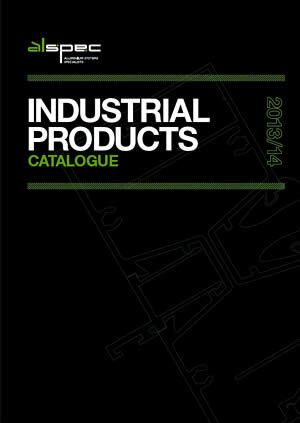 The Industrial Product catalogue provides a list of products stocked in the various locations. Please note that the stocking information is an indication only and needs to be confirmed with your local Branch.